I am hosting an online Mary Kay Website Party and I’m inviting you to join on and have some fun. Check out what’s new, play with the virtual makeover and even upload your own picture to try the newest makeup artist looks! You can shop for upcoming events such as Christmas, birthdays, anniversaries, etc. There’s skin care, body care, color cosmetics, gifts, men’s products and more! 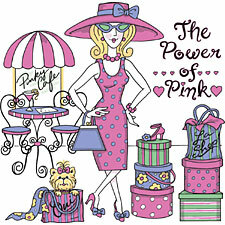 Put my name (Suzy Q Customer) as the hostess in the comment section at checkout and send it to my consultant, Pink Biz. Within two weeks of receiving this message, Pink Biz will make arrangements for delivery of your order even if you live out-of-state. All products are guaranteed 100% and there is no cost for shipping. As a thank you for attending my Website Party you will also receive a FREE gift with purchase. Your order will be sent to Pink Biz and she will contact you for payment (cash, check, credit card). Or you can even pay with Visa, MasterCard, or Discover through her secure Web site if you like. PLUS, if you decide to get FREE gifts for yourself you can host your own Website Party, and you are also helping me earn my FREE gifts and special discounts too! If you have any questions, please call Pink Biz at (555) 555-5555 or email her at pinkbiz@marykay.com. I love the personal service I receive from Pink Biz and I know you will too. Pink Biz Note: Hurricane IKE is over!! I have electrical power once again. Praying for those who continue to endure the hardships associated with this storm. Back to Mary Kay business… I have a customer who has requested to do a virtual party. She is a Fortune 500 Exec, travels a considerable amount in her job, and wants the Hostess Travel Jewelry Bag! Due to job and personal time constraints, this was an option for her to earn the bag. HELP! I need some feedback on the email I have composed above. I patterned it after a file I had tucked away. Never having done a virtual party, I want to make certain the reader will easily understand the nature of the online party and what to expect. PLEASE give me an honest opinion. Critique away!!! I want to improve on this and send it out by tomorrow morning! Having trouble today with wordpress site. I believe I have resolved the comment off problem. Should be able to leave comments now. Need feedback if anyone has the time. Thanks in advance! Hadn’t realized you were in Ike territory. So happy you are OK and have power! We got some high winds over the weekend that were from Ike. There was an Ike fatality in our immediate area all the way up here. Very sad. A 12 yr old boy was struck by a falling limb. A friend of mine knew the family personally. On a much lighter note, I think your email is fabulous. 🙂 I really like it. I don’t think I would change anything. It’s very straightforward and to the point. Thanks Shades!! I do hope this works. I played with it some, but basically think I will only add one small thing. Where it suggests having their own web party, I will include for them to put that in the comment section also at checkout. My customer says she has bought plenty from lots of her family and friends in the past, so now it’s pay back time. lol! She feels at the very least they can order a lipstick and mascara. I am a native Houstonian, and left for San Antonio, TX during the Hurricane. I was glad my daughters and I left. My DH remained here because most all the men did in my neighborhood. I tend to think insurance is the best assurance and lives are precious, just glad he was ok. Wow, sorry to hear about the 12 yr old. Similar tree limb fatality happened in a nearby county to a 10 yr old boy, and to a volunteer power company lineman here to help from another state. Very, very sad for these families. Seems a number of states sustained some type of wind or water damage from IKE, and some fatalities as well. Counting my blessings for sure. I eyed something else before sending to my virtual hostess. I also included the American Express credit card. I left it out in the post here.